Panasonic WhisperFit™ Ventilation fan with light, features permanently lubricated motor with plug design for continuous run. It has Pick-A-Flow™ speed technology that allows to set the fan speed at 110 CFM or 80 CFM airflow. This fan in rust-proof finish, has 13-Sq-Inch poly pro grille construction. It has 26-gauge galvanized steel housing. 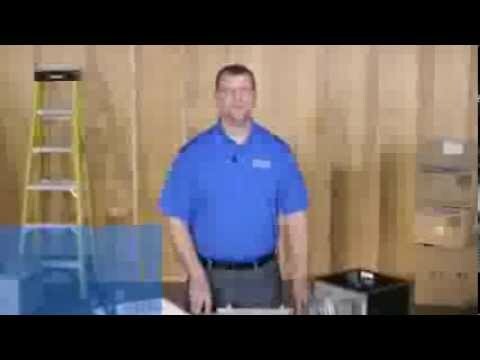 Fan with metal flange provides blocking for penetrations through drywall as an air barrier. Fan has 4-Pole enclose AC motor rated condenser for continuous use. 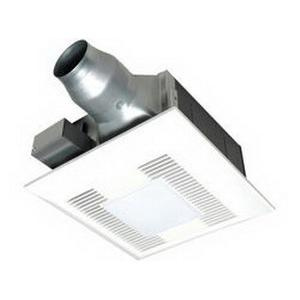 It has 3-Inch or 4-Inch duct and supports ceiling mounting. Light unit includes two 13-Watt self-ballasted GU24 base compact fluorescent lamp and one 4-Watt night light. It has voltage rating of 120-Volts and operates frequency rating of 60-Hz. It has 4.2 CFM/Watt efficiency at 110 CFM and 3.8 CFM/Watt efficiency at 80 CFM. Fan is UL/cUL listed.